Leaving prison with nothing can be "horrifying," one inmate says, and a new program aims to make the transition to normal life a little easier. The first steps outside prison walls on an inmate's first day of freedom might spark a mix of emotions: gratitude, nervousness, or glee. But for many women, says one ex-inmate, terror usually dominates. 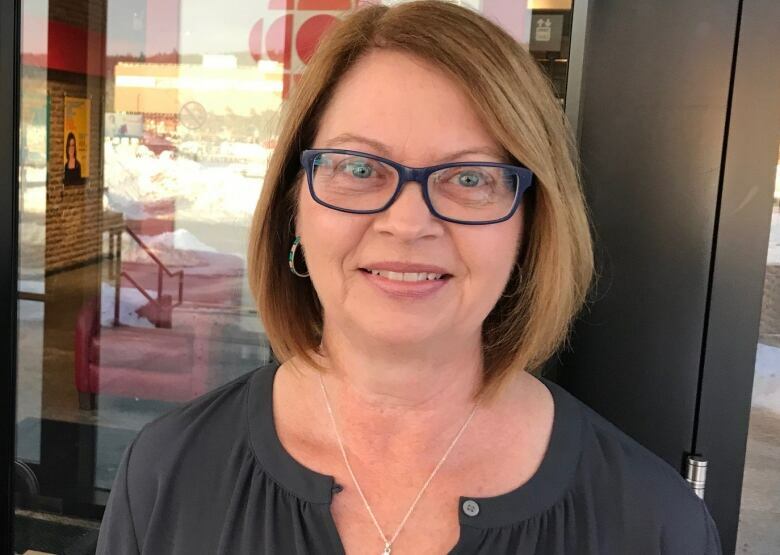 Cynthia, who requested that CBC News not use her last name, described the day she left Clarenville's Correctional Centre For Women, telling supporters of a new pilot project how much a few dollars would mean to someone in her shoes. The project, a partnership between Stella's Circle and the Newfoundland and Labrador Credit Union, aims to reduce that terror by handing newly freed female convicts $200 and a bank account, conceivably helping women afford food and transportation immediately after they've been incarcerated. Leaving prison, where meals, shelter, clothing and schedules are all provided, has "gotta be horrifying for someone who don't know where to go or what to do," Cynthia said. Although she says she was lucky enough to benefit from the support and guidance of a halfway house, many inmates don't apply. "Most of the women [don't] have any supports for when they leave," she explained. "A lot of them don't know where they're going to sleep that night, where's their next meal going to come from. "It gives women the power to look forward to something, to know that when they're released there's something there for them." Cynthia says that's paramount for ensuring women don't slip back into the same habits that landed them behind bars in the first place. "A lot of girls don't want to live that life no more," she said. "They want change, but they just can't do it, because when they get out there's nothing for them." The program, A Fresh Start with Accounts that Count, aims to break down economic barriers faced by women released from custody. "We know that, institution aside, that there are systemic barriers for women," said Denise Hillier, director of clinical services with Stella's Circle. "Women earn less than men, women are more typically living in poverty before they go to prison, women are more likely the lone parents in households with children, so there are a number of systemic barriers that we know women face, and then you add institutionalization to that," she said. 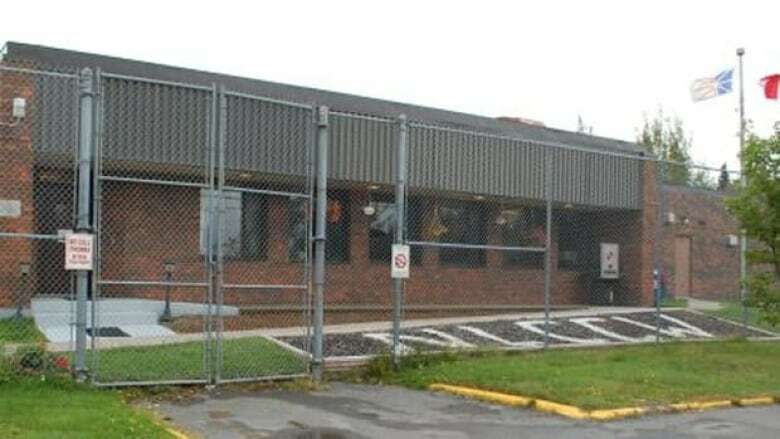 The program will help set women up with a no-fee bank account at the Newfoundland and Labrador Credit Union, as well as giving them $50 cash on the day of their release or when they're out on remand, which Hillier said is a "really challenging time." "They're released without an opportunity to plan, because being on remand means that you haven't yet been sentenced for your offence, but sometimes what happens is, women go to court and they're released from court with time served," she said. "So there's been limited opportunity to plan for their release to the community and certainly to establish their income." Cynthia didn't have a chance to use the program, but says if she had been handed cash and a bank account on the day of her release, it would have meant a chance to buy new undergarments, a nice meal and keep a "few dollars in her pocket" until she found stable income, she said. Women can also meet with a Stella's Circle support worker that day to ensure they get the cash, which will help them with food and transportation to shelter. "There's also the bridge in that week to provide the funding for an ID, which obviously is really important as a first step to getting what you need to get done, in terms of a bank account, changing cheques, that kind of thing," Hillier said. "And once the account is established, there's going to be $150 in the account for you." Hillier said the program has already started, and what they've learned so far from women is there is a lot to be learned about financial institutions. "Some of the things that we're starting to pick up on are nuances like, maybe some misunderstanding about that the credit union is not the credit bureau," she said. "We're starting to become aware that we need to be clear with women, you don't need to worry about the fact that maybe you have utility bills that you haven't paid over the years and those kinds of things, we're talking about a banking institution." It also takes a little longer than expected to get the IDs the women will need, Hillier said, since they now have to come in the mail. "That's kind of like our off-the-ground learning curve," she said. "But again, it's brand new." 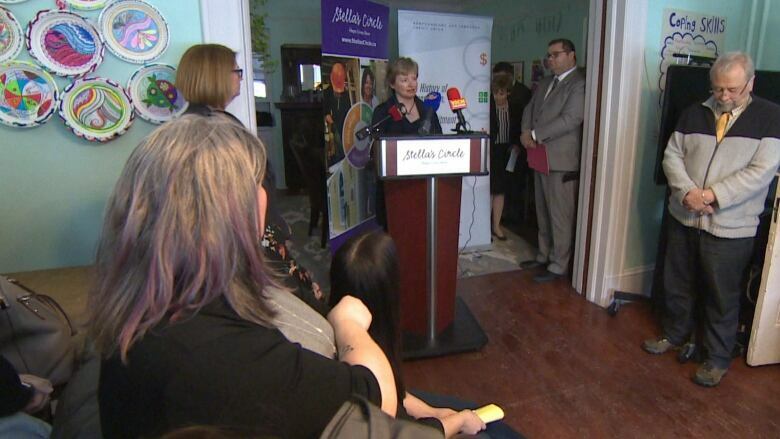 A Fresh Start with Accounts that Count pilot project will run three years, and Hillier said Stella's Circle hopes to help 20 women each year get back on their feet. "I think it's really helpful for them to know that there's a community of care, and that involves financial institutions," Hillier said.